Fixed autocrop recognition of Tamron 18-270/3.5-6.3 VC PZD B008 as a cropped lens. Fixed issue when “choose between OIS and IBIS automatically” is selected in Metabones App, Tamron 24-70/2.8 VC USD A007 would still be turned on in Green mode after an exposure. Fixed issues with Tamron 150-600/5-6.3 Di VC USD A011. 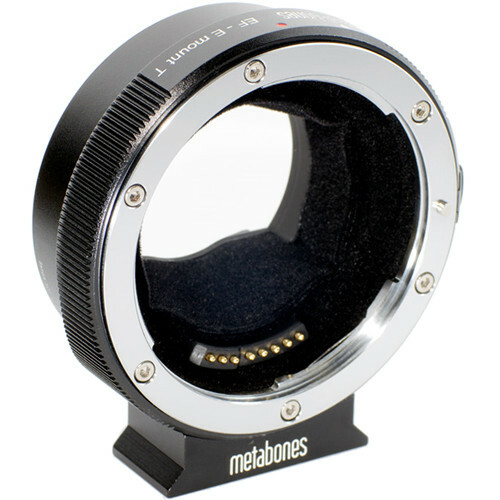 Added an option in Metabones App to enable the use of Digital Zoom in Advanced mode. This entry was posted in 3rd Party Lens, Accessories, Firmware updates and tagged EF-E Smart Adapter MARK IV, EF-E Speed Booster ULTRA, Metabones EF-E Speed Booster ULTRA, Metabones Smart Adapter IV. Bookmark the permalink. Trackbacks are closed, but you can post a comment.